This is it, folks, my last at-bat for New To Seattle. After five years and nearly 300 postings, I’m moving on again, to what will be something like my 16th home in 45 years. My new place of habitual abode is in–drum roll, please–Las Vegas. It was family reasons that brought me the 1,100 miles from the Los Angeles area to Seattle, and family reasons that are bringing me the 1,100 miles from Seattle to Vegas. I lived in Seattle only a half-decade, but boy have I seen change. Among other things, Seattle has become one giant construction zone. That’s due partly to an influx of population but also due to, I think, over-optimistic estimates about how long it will take for the Seattle boom will turn into a bubble (I think it already has) and then peter out into the inevitable bust (right around the corner, I predict). From what I can tell, public officials and local business leaders are making long-term capital projections assuming that the extraordinarily elevated levels of current growth will continue to rise rather than using the historic, much lower growth rate and adding a little. I saw this kind of flawed thinking happen in other metro areas I have lived in over the decades, including Houston, New York and Los Angeles. 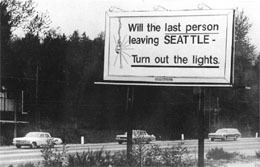 Over time, of course, things bounce back, as evidenced in the adjoining photo of the famous billboard that went up in 1971 after Boeing, the Seattle area’s biggest employer, reduced its workforce by a stunning 60,000 jobs in just four years. Since then, Seattle economically has done OK. But the powers-that-be now are assuming there will be no counter-reaction to the skyrocketing cost of living and taxes (including the nation’s highest big-city sales tax rate) all this growth is entailing. Or that nothing very bad will happen. Like, say, a new volcanic eruption of relatively nearby Mount Rainier, “the most dangerous mountain in the United States.” Or a catastrophic earthquake in Seattle, the prediction of which just won The New Yorker magazine a Pulitzer Prize. The first call to the New To Seattle world headquarters from the Disabled Police and Sheriffs Foundation didn’t last very long. The vaguely disemboweled computer-generated voice trying its best to sound human, and going by the name I understood to be David Angeli, wanted me to promise a donation before I would be mailed any information about the charity. This is usually a big giveaway that something shaky is afoot. “How much of the money raised goes to fundraising?” I asked. But remarkably, less than a day later, I got another call from Angeli, again trolling for the DPSF. This call was even briefer. “How do you spell your name?” I asked. There was a pause. “I’m having a problem with my headset,” Angeli the computer said. Then the line again went dead. After a little research, I now understand better Angeli’s seeming reluctance to answer basic questions. The DPSF doesn’t do very much for disabled law enforcement officers. It does, however, do a lot for professional fundraisers, and for the charity’s lone employee. By my reading of its latest financial statements, for 2014, only six cents of every dollar donated to DPSF raised went to the stated charitable mission, which as it turns out really wasn’t what the charity’s name implies (more about that later). A whopping 90 cents of every dollar raised went for fundraising costs. The DPSF doesn’t make it easy for would-be donors to figure out how financially inefficient the charity really is. Many charities even sketchier than the DPSF post their tax returns or financial statements online. This one does not. But, according to its website, the DPSF will send you its tax return and financials if you mail a check for $19.00. 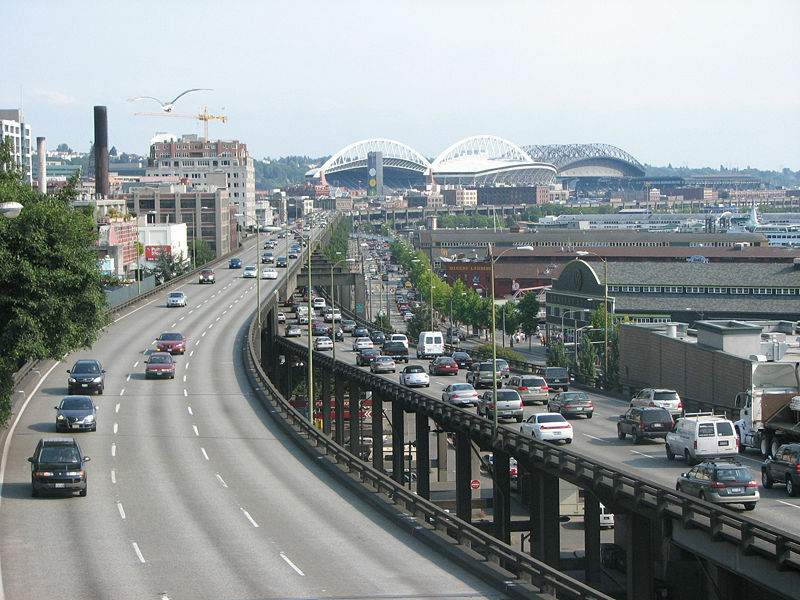 Starting April 29, Seattle is going to hold its collective breath as its most troubled public works project ever, a vehicular tunnel along the Puget Sound waterfront, starts burrowing under the elevated Alaskan Way Viaduct it is designed to replace. The $1.4 billion venture has been so cursed–the Bertha tunneling machine, the world’s biggest, was stalled deep underground at one point for more than a year–that authorities are closing the Viaduct for two weeks as a precaution in case there’s another sinkhole, or something far worse. 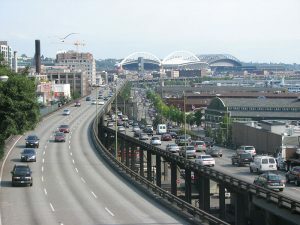 Since the Viaduct carries one of isthmus Seattle’s two north-south limited-access routes–the other is Interstate 5–traffic around town is expected to be slower than a butterfly without wings. Authorities actually have told the public to work from home. That’s reasonable advice, maybe, for a computer programmer or a writer like me, but not much help for a teacher or maintenance worker. The result is that many Seattleites are awaiting the continuation of our version of Boston’s equally cursed Big Dig with the kind of macabre anticipation I haven’t seen since the days when Dan Rather anchored the evening news on CBS. Would this be the night he stormed off the set, went bonkers while interviewing a Vice President or mysteriously ended the broadcast with the word, “Courage”? You can read the story by clicking here. Meanwhile, just like I did in California before becoming New To Seattle, I still carry earthquake insurance. The telemarketer on the phone at the New To Seattle world headquarters said he was calling from the King County Police Union (Seattle sits in King County). He was hoping I would contribute to a project called My ID Club, in which children in the Seattle area are issued free photo ID cards to help resolve missing-kid situations. He said 40,000 cards had been issued in 2015. Interesting, I said. How much money did you raise last year to cover those 40,000 cards? The caller said he didn’t know. “I’m not an accountant,” he said, a bit annoyed. Okay, I said, how many police officers belong to the King County Police Union? He wouldn’t answer that question, either. He then cited a rather lame excuse–another call coming in–to quickly end our conversation. But I sort of know the answers to these two questions: lots of money, and almost no cops. That’s because I’ve been called before in the name of the King County Police Union. It’s a trade name used by Public Safety Employees Union 519, based in Seattle. What looks like a public-spirited civic endeavor is, in my view, a more cynical effort by a union and its fundraiser to make a buck for themselves. By my reading of public documents and a little common sense, a lot less of the money raised was spent on ID cards than the average donor might imagine. Forbes.com yesterday published a great-places-to-retire list that actually includes Seattle. I know this because I compiled the list. As I have noted here before, Seattle doesn’t make a lot of general U.S. retirement lists, at Forbes or elsewhere, especially those that crunch hard data and have a value orientation in the methodology. That’s largely due to Seattle’s high cost of living–54% above the national average–which in turn is due in no small part to lofty housing costs, which are 68% above the national median. I started researching various retirement lists for Forbes long before becoming New To Seattle in 2011. Boy, does Joel Collins get around! Earlier this month, I received a call from Collins on behalf of Injured American Veterans Foundation, a trade name of Healing Heroes Network. After announcing his name and affiliation, the line went dead, making it the shortest charity cold-call pitch ever received at the New To Seattle world headquarters. Quick research by me suggested only 2% of the money spent went to the stated charitable mission. There was a reason I knew right away that the American Veterans Support Foundation was a trade name of the National Vietnam Veterans Foundation. The organization already has been nominated–twice!–for my list of candidates for America’s Stupidest Charities (see the roster on the left if you’re viewing this on a computer). The criteria is simple: questionable charities that call asking for money even though they already have been the subject of a critical write-up in this space. Can it get dumber than that? The caller said he was Joel Collins from the Injured American Veterans Foundation. Then the line went dead. This was the shortest telephone cold call from a charity ever to come into the New To Seattle world headquarters. Despite the call’s brevity, I’m pretty sure Collins was a computer-generated interactive voice ready to make an ask. He/it likely was controlled by some human telemarketer who was monitoring but somehow couldn’t hit the correct computer keys in time to keep the conversation going and get to the pitch. To me, Seattle collectively is a town of secrets, somewhat bereft of candor. The widely used phrase “Seattle Nice” connotes a passive-aggressive culture in which the locals say one thing sweet, then do something else not so sweet. Then there the “Seattle Freeze,” the notion that Seattleites are uncommunicative and unfriendly to newcomers. I am not alone in seeing evidence of both concepts. So it is refreshing to see the forthrightness expressed by the city government in an interactive Website that just went online. 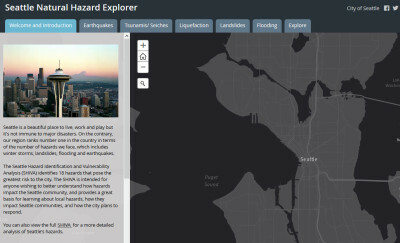 It’s called the Seattle Natural Hazard Explorer. The SNHE allows a user to zoom in and evaluate the propensity of a specific neighborhood or property for a host of natural perils. It’s even possible, as I did, to plot many hazards–among them, earthquakes, landslides, flooding, tsunamis and something especially scary called liquefaction–on the map and eyeball the entire city. Seattle’s own Amazon.com prides itself on effective customer service. Can’t quite prove it by me recently. I was having problems downloading the Kindle app onto a new Microsoft Surface Pro 3. Looking around the Internet, I discovered I was not the only one with this difficulty. So I went to the Kindle part of Amazon.com and tried to get help via the chat function, in which Amazon representatives communicate with customers by exchanging written messages. What ensued was an epic 94-minute-long chat in which I was in some kind of contact with 18 customer service associates, as they are called at Amazon (including a couple of duplicates and even no-shows). In the end I was told–stunningly–to go outside Amazon for help with its own Kindle product. My problem remains unresolved. This being late December, lists of predictions for the new year are all the rage. For the first time, I’m joining in. But being New To Seattle, I am confining my prognostications to the area. And the calls I make generally shouldn’t be taken too seriously. 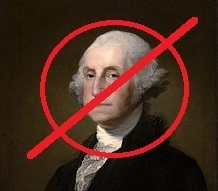 A new liberal protest movement at the University of Washington demands a name change because George Washington owned slaves. Seattle opens more off-leash dog parks than new schools. 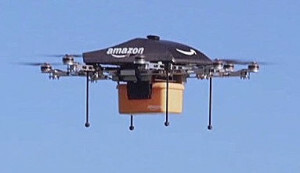 Amazon.com start a service by which a new home can be ordered online. Although constitutionally barred from running for reelection, President Obama comes to Seattle for another fundraiser without scheduling any free appearances open to the public. Visit Seattle, which used to be Seattle’s Convention and Visitors Bureau, starts a new marketing campaign emphasizing Seattle gets less rain than Bangladesh. It’s right up there on the website of United Way of King County. “On average, more than 98 cents of every dollar donated goes to meet community needs.” It’s a claim The Seattle Times swallowed in a recent editorial. “The United Way of King County puts 98 cents of every dollar raised into programs and services,” the paper opined two weeks ago. Folks, I’m here to tell you that what still may be the nation’s largest United Way unit by donations is financially efficient, but not that efficient. UWKC’s true charitable commitment is, depending on which standard methodology is used, somewhere between 91% and 96%. 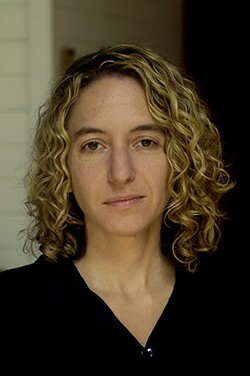 Put another way, that means the inefficiency in UWKC’s operations is two to four times higher than what UWKC says it is. In five years the population of Seattle has risen 9% from 608,600 to 662,400 (including me, still New To Seattle). That’s a hefty increase of 53,800, a compounded annual rate of 1.6%. The city certainly has been feeling the growing pains, thanks in large part to limited land forming an isthmus between two bodies of water and an infrastructure not really up to the task. But that rate of growth is nothing compared with the epic boom that exploded hereabouts a century ago. From 1900 to 1920 Seattle’s population rose an astounding 290% from 80,671 to 315,312. That’s a compounded annual rate of 6.5%–four times higher than now. Whereas the current population boom is fueled mainly by new jobs in technology, the one a century ago was a lot more primeval. 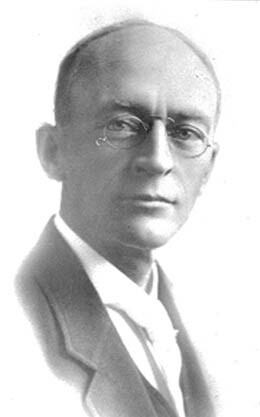 Its roots were primarily gold and vice–the latter of which which led to the voter recall of Seattle Mayor Hiram Gill in 1911. Tomorrow is the 164th anniversary of the day the first group of gringos arrived at what would become the great city of Seattle. 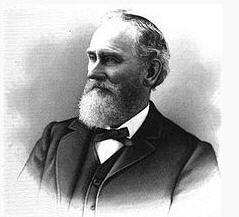 On November 13, 1851, the so-called Denny Party–10 adults and 12 children led by Arthur A. Denny, a 29-year-old surveyor from Cherry Grove, Ill.–pulled up around noon in a schooner named Exact on Alki Point, across Elliott Bay from the future downtown area. Now, the 164th anniversary of anything generally occasions little notice. But I find it noteworthy given the current concern in Seattle about what to do about all the homeless folks. That’s because Arthur A. Denny et al. were sort of the original homeless folks of Seattle. Their initial lodgings starting that day consisted of a single unfinished log cabin without a roof–not exactly a home for the climate of Seattle, which gets pretty wet every year by, oh, November 13. Kicking in a little later than normal, it looks like the dark and rainy season of Seattle–which is most of the year, actually–is finally beginning. After an alternating week of rain and sun, forecasters think there will be significant precipitation–with not much sun–for at least the next seven days. Seattle remains the only one of the many places that I have lived in over the decades where “sunbreaks” regularly are part of a forecast (look at Sunday on the display above). The forecasters simply may be doing their best to bolster local spirits. The TV weather dogs probably could have stretched out that rain prediction for about eight months, and not be wrong any more than usual. In the U.S., one big difference between state-level elections in the East and the West is the widespread presence in much of the latter of ballot measures. I don’t mean bond issues–they are found almost everywhere–but initiatives, referendums and proposals to raise property taxes. Products of the Progressive Era, ballot measures reflect a suspicion of and limit on elected representative democracy. Still, sorting out motives can be an illuminating and even entertaining endeavor that says something about the local condition. This is a rare post on my part of unabashed self-interest. 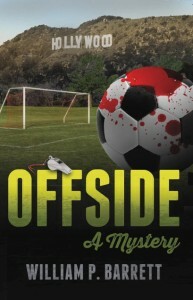 As part of an effort to market my debut novel, OFFSIDE: A Mystery, please click RIGHT HERE. This will take you to a promotion page called Thunderclap. On that page, click one of the “support” boxes (Facebook, Twitter or Tumbler). You’re not under any obligation to buy anything (although I would be thrilled if you did). The promotion folks with the book publisher tell me this will generate insane attention and, hopefully, a few sales. Thanks to all who visit or follow. For those unfamiliar with the conceit of OFFSIDE, an adult referee of youth soccer in a ritzy Los Angeles suburb at the peak of the real estate bubble in 2006 is murdered. Suspicion quickly centers on a Latino coach with a gang background upset over an offside call by the ref, especially after footage of the rant pops up on YouTube. Without giving away the ending, here are the novel’s last two words: “Alan Greenspan.” You can learn more about the book, and me, by clicking here. 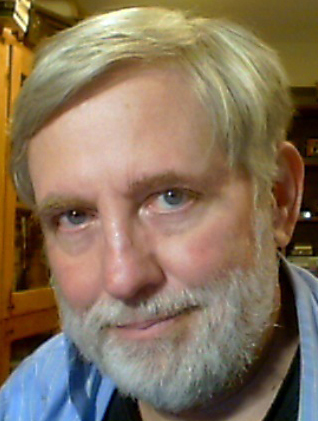 It is, of course, a total coincidence that I have been a soccer referee for 18 years, long before becoming New To Seattle, and that part of that time, including the year 2006, was spent officiating in the Los Angeles area. Hopefully, the novel won’t be too personally prescient. Meanwhile, the regularly scheduled programming here will resume soon. The telephone caller was working for the National Police and Troopers Association. He said the organization provided help to families of cops killed in the line of duty. Would I make a small financial pledge and return it in an envelope I would be sent? It certainly seemed like a pitch for a charity. The caller said his name was something that sounded like Ken Doherty. But it might have been Ken Dougherty, Ken Daugherty or some other spelling. I didn’t know. So I politely asked him to spell his name for me. Ken promptly hung up without uttering another word. Some questions, I suppose, are just too difficult. But I already knew the general answer. That’s because I once wrote up in this space the NPTA, a trade name used by the International Union of Police Associations AFL-CIO. I called the organization “among the scuzziest” outfits trolling for money in Seattle. Why? It outrageously misrepresented what it did and spent next to nothing on anything remotely connected with good works. Besides “scuzziest,” I now can make the IUPA/NPTA the sixth candidate for my long-running list of America’s Stupidest Charities. The criteria is pretty simple: charities that call the New To Seattle world headquarters asking for money despite being the subject of a previous critical post. Can it get any dumber than that?